Your child will be ready for school with this set of 8 The Little Prince's stationery products. This paper-weight the Little Prince and the fox is an indispensable desk accessory. It will allways keep your papers from flying away. Like a novelist, write down your thoughts, projects and other ideas in this beautiful small notebook The Little Prince in his outfit. Like a novelist, write down your thoughts, projects and other ideas in this beautiful small notebook The Little Prince and roses. Like a novelist, write down your thoughts, projects and other ideas in this beautiful small notebook The Little Prince and the Fox. Bring a touch of sophistication to your office with this beautiful box of 3 small notebooks The Little Prince. Record your thoughts, ideas and writings. Practical with its mini size, the spiral notebook The Little Prince on his planet will slip into your pockets and purse very easily. Practical with its mini size, the spiral notebook The Little Prince in his outfitt will slip into your pockets and purse very easily. 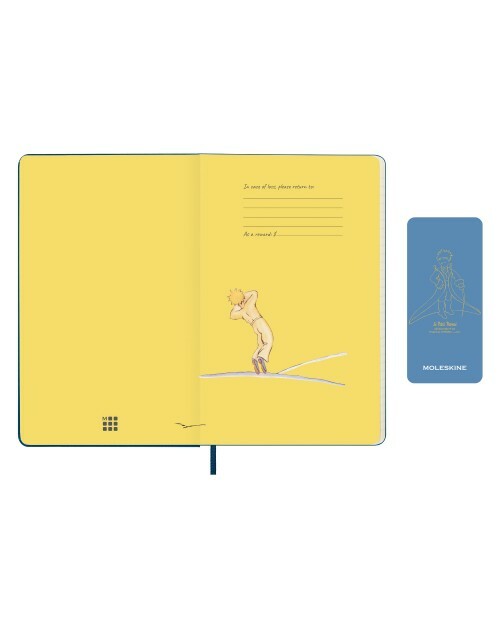 Don't miss a note with these 3 small notebooks The Little Prince. Practical, they slip and get lost everywhere. Like a novelist, write down your thoughts, projects and other ideas in this beautiful large notebook The Little Prince and the Fox. Like a novelist, write down your thoughts, projects and other ideas in this beautiful large notebook The Little Prince and roses. Like a novelist, write down your thoughts, projects and other ideas in this beautiful large notebook The Little Prince in his outfit. 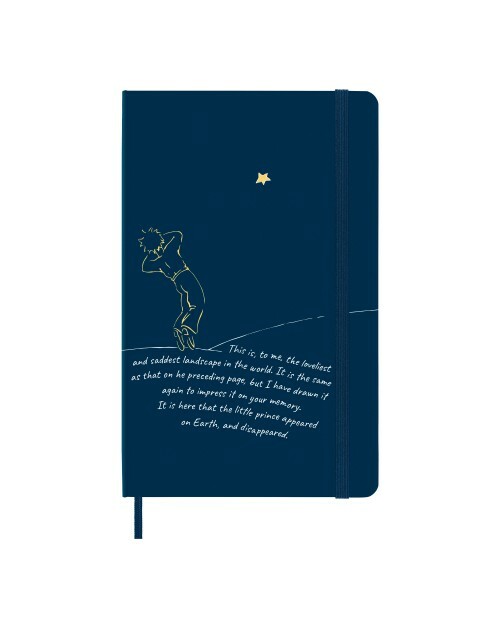 Like a novelist, write down your thoughts, projects and other ideas in this beautiful medium notebook The Little Prince in his outfit. Like a novelist, write down your thoughts, projects and other ideas in this beautiful medium notebook The Little Prince and the Fox. With the Little Prince's astrolabe your child will be able to build himself, without glue or scissors, the solar system of the Little Prince in 3D. Discover the art of folding thanks with the book Les Origamis du Petit Prince. You will find all the explanations to make yourself the characters of the Little Prince paper thanks to detachable leaves with beautiful patterns. With the Little Prince's lacing and pompom box, your child can make beautiful, sweet decorations with his favorite characters. With this box Les Créations du Petit Prince, find a book and all the necessary material to make 6 beautiful scintillating pictures of the Little Prince. Organize an unforgettable birthday party for your child with the kit "Je fête mon anniversaire avec le Petit Prince"
Rediscover cults watercolors by Saint-Exupéry with this coloring book for adults. Both relaxing and de-stressing, the adult coloring is a truly original activity. More than ever, you will remember that "All grown-ups were children first. But few of them remember it." Become unbeatable about the story of the Little Prince and its author ! This wonderful illustrated encyclopedia has everything to know about the story of the Little Prince and its Author Antoine de Saint-Exupéry. This Little Prince illustrated encyclopedia is illustrated with rare photos ! French paperback Edition of The Little Prince by Gallimard. Folio collection. 104 pages. The wonderful story of The Little Prince for babies.A cardboard book and 4 cubes puzzle to discover the cult watercolors of The Little Prince drawn by Saint-Exupéry. The Little Prince Pencil. Comes with an Eraser. Made by Petit Jour - Paris.